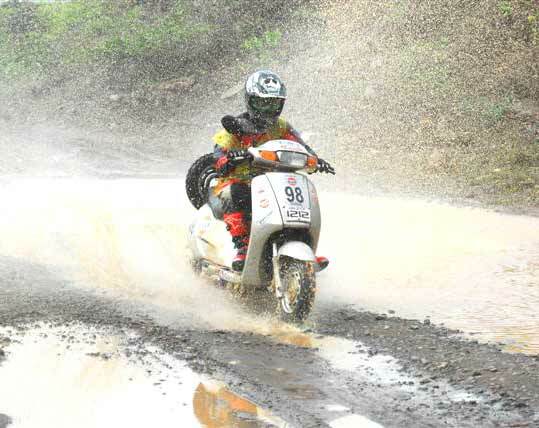 Mumbai's dirt track champion Rustom Patel, riding a Honda Activa, overcame unyielding conditions and a strong field to emerge triumphant in the 20th Gulf Monsoon Scooter Rally, organised by Sportscraft, on Sunday. 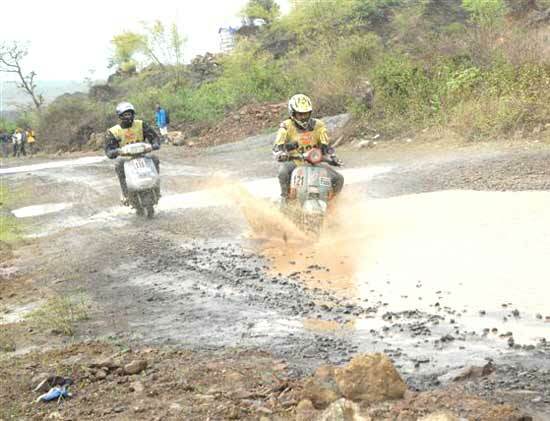 In a field of 31 riders, Rustom, who narrowly missed out on the title the last five years, rode with gay abandon over the dirt tracts of Navi Mumbai to win the grueling 35 km race with 26 minutes 29 seconds in penalties. 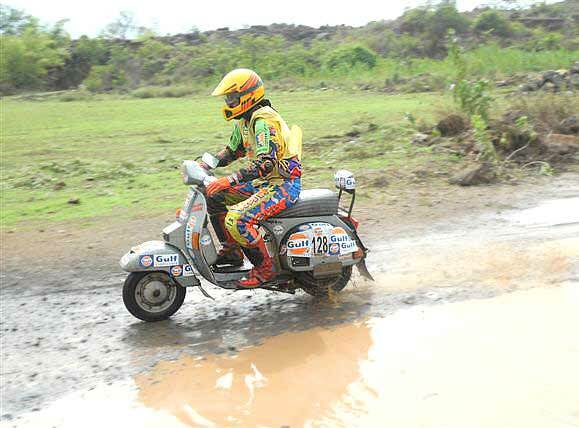 Nashik's Ganesh Lokhande, astride a Kinetic Marvel, was second in 28 minutes, 34 seconds, while Pune's Snehal Chavan, astride a Honda Activa, was third in 28.40 seconds in penalties. Four-time champion Manjeet Singh Bassan, who was bidding for a third straight triumph, having won this popular event in 2007 and 2008, besides 2002 and 2005, finished sixth. How good Rustom was can be made out from the over two minutes in penalties that separated him and second-placed Ganesh Lokhande. 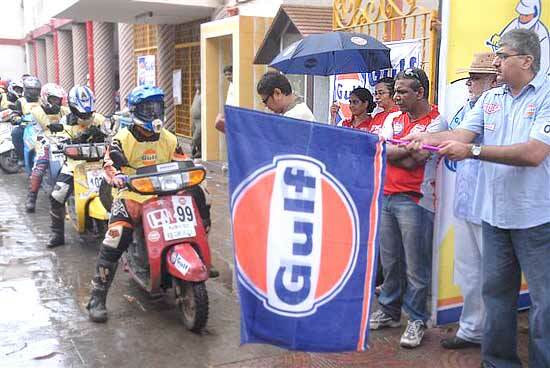 The popular annual event was flagged off by Mr Ravi Chawla, president, Lubricants, Gulf Oil Limited from Our Lady's Home in Parel after which the riders rode to the eastern side of the city for competition along the backwoods of Vashi, Kombadbhuje, Targhar, Waghilwada and Ohvale. Riding on the gravel-laden, slushy course was dicey. 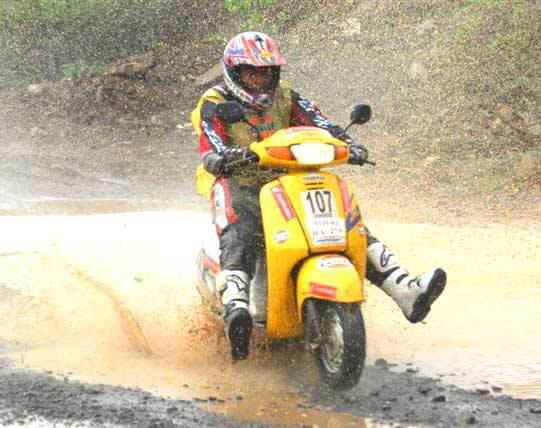 The riders had to exercise extreme caution while negotiating the steep inclines and hairpin bends. Practically all of them took a tumble or two and some even damaged their scooters. It was also difficult riding through water logged areas but almost all riders went through the exercise rather efficiently. Bassan was unlucky not to win for the fifth time. He was ahead of Rustom in the time charts in the first and second competitive sectors, but a nasty tumble in the third sector proved costly. In his bid to generate speed over a bend, he skidded and went down the hill, losing precious second in the process. Fortunately, Bassan came away from the mishap unscathed. But E Shekaran of Navi Mumbai and former champion Kunal Rao were not so lucky. Both suffered serious injuries and had to be taken to hospital after being administered first aid by the doctors of Hinduja Hospital and Parsee Ambulance. 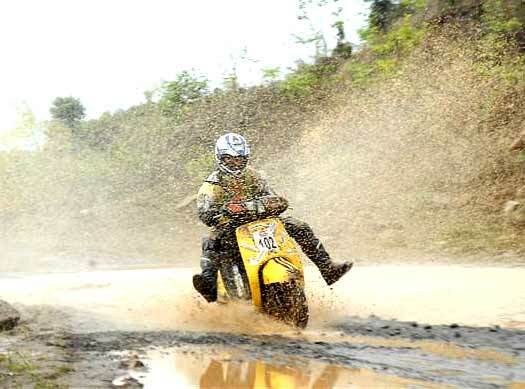 Lovepreet Singh, astride a Bajaj, emerged the best first timer and was awarded the late Firdosh Vajifdar trophy for his spirited riding.